I am not usually a reader of war stories and although Nefarious begins during the war in Afghanistan I would not class it as a war story. I think it would be described better as action, mystery, thriller and intrigue, sweetened with just a touch of romance. The story starts in Afghanistan then switches to what appears to be an unrelated story back in the USA. Having read two of Mr Freeman’s other Blackwell Files stories I trusted he would bring these together. He did and he did it skilfully. The combination of alternating locations and stories with short chapters has the reader turning the pages to read “just one more chapter”. There is never a dull moment. Mr Freeman is a skilled writer able to combine effective descriptive passages with conciseness. 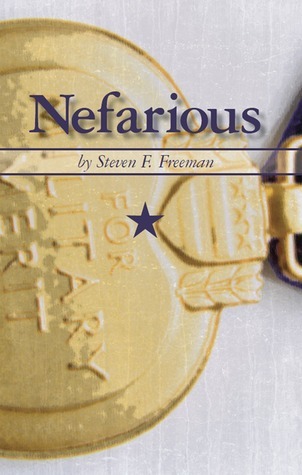 The greatest appreciation I had of Mr Freeman’s writing was when it came to military terminology and jargon. Being totally ignorant in this field I did not struggle with the war zone or military descriptors. Any acronyms used are explained and don’t have the reader running to Google to find out what it is about. Although the first of a series, like Mr Freeman’s other Blackwell Files, it can be read as a stand-alone. You won’t want to stop at one though; his stories and characters are addictive and will have you coming back for more. The characters are strong and very likeable (well, the goodies are anyway). Having read later books in the series, I was familiar with the main characters and already liked their personalities, intelligence and compassion. I was particularly interested in how the relationship came about between Alton and Mallory and also how they met Mastana. I wasn’t disappointed and look forward to their personalities and relationships developing as I read the other stories. The other characters are also well developed and easy to like or dislike according to their actions and beliefs in the story. When Army Communications Captain Alton Blackwell takes a hit to the leg while on active duty in Afghanistan, his self-confidence and leg are equally shattered in the explosion. Assigned to a desk job while recovering, Blackwell nonetheless manages to prove his resourcefulness as he matches wits with Al-Qaeda operatives in the dangerous regions of Kabul. Unable to fully heal, he resigns himself to the abrupt end of his military career as well as any hope to win the affections of the beautiful and intelligent Lieutenant Mallory Wilson. Upon returning state-side, the quiet civilian life is quickly left far behind when Blackwell’s colleague Zach Lambert calls him from a weekend camping trip in the throes of a devastating illness with forbidding implications. In a story out of today’s headlines, Blackwell and now-FBI Agent Wilson explore the possible diversion of a biotech’s project to develop an improved vaccine, scouring leads at the CDC and biotec company, putting their Army and professional skills to the test, and narrowly escaping agents with a murderous agenda at every turn. The closer they come to the truth, the quicker the bodies pile up, along with the suspects. To get to the bottom of the sinister scheme, can Blackwell still use wits when his body has failed him? And will he survive long enough to tell his colleague of the feelings for her he has long kept secret? There were parts in this story that did disturb me; like pleasure in killing dingoes and kangaroos. Having said that, I have always believed we should view history in accordance with the attitudes of the day so I got through that but mention it as a word of warning. I hope if this book is an option for school reading additional guidance is given by teachers emphasising changing attitudes. It is a detailed account of one man’s life in Australia in the 1900s. It was not an easy life having to start a hard farm life as a young boy, often being taken advantage of or abused. As a young man he volunteered for army service in 1915 and served at Gallipoli. He worked hard all his life and adored his wife and children. They relationship is truly inspiring in this day of so many fragmented families. Through all his hardships in life, including a failed farm during the Depression he maintained a positive attitude accepting whatever work he could find to support himself and, later, his family. I must comment on the narrator. Roger Cardwell does an amazing job not just a clear reading but with intonations that reflect humour, disappointment, pain, joy and every other emotion Facey writes about. Born in 1894, Facey lived the rough frontier life of a sheep farmer, survived the gore of Gallipoli, raised a family through the Depression and spent 60 years with his beloved wife, Evelyn. 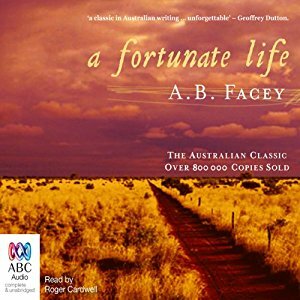 Despite enduring hardships, we can barely imagine today, Facey always saw his life as a "fortunate" one. A true classic of Australian literature, his simply written autobiography is an inspiration. It is the story of a life lived to the full - the extraordinary journey of an ordinary man.